Welcome to your #VMwareSummerReading list for 2018! Want to learn more? Check out this intro post. 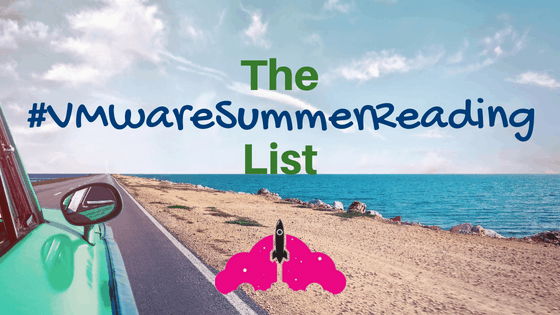 Tag your blogs with #VMwareSummerReading all summer long (June – September), and have them added to this list! Stop back here to learn something new! Click here to read your topic of choice, or simply scroll through the list. VMware NSX is currently dominating #VMwareSummerReading! If you are looking for your jumpstart on NSX – this is it. Need to get from vShield to NSX? Start here. This series is a great introduction to VMware NSX, including a history lesson. If you are looking to study for VCAP-NV this summer, here are some great resources in multiple languages. After learning about NSX, put your design skills to the test. Are you ready for the end of general support for NSX-v 6.2? This article will help! Trying to deploy NSX in your home lab? Make sure to read this first! Getting ready for your VCP-NV? A great guide to help you study! Tips for working with the PSC component of VMware vCenter Server. Information on what LACP is, and how to configure LACP within VMware vSphere. Learn more about TCP/IP stacks in VMware vSphere. Learn how to fix a common issue encountered when using small drives for capacity with VMware vSAN. Learn more about setting up Veeam for tape. 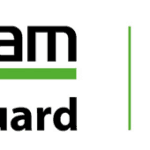 Your guide to setting up Veeam and ExaGrid to protect your VMware vSphere environment. Introduction to the FREE edition of Veeam Backup and Replication! A great overview of protecting your data on ThinkAgile VX. Permissions in vSphere are essential, and often misunderstood. Wondering how VM encryption works? Start here. Your compute guide to Secure Boot and ESXi. A more secure VMware vSphere environment is good for everyone! Get started on your vSphere security journey here. If you are looking for more information on vSphere 6.7, this is a great starting point! per-VM EVC is a new feature in vSphere 6.7, find out more information here. A great series on what is new in vSphere 6.7 storage. The first blog post ever by Virtual Design Master winner Kat! Great walkthrough of VMware Cloud on AWS configuration. vRealize Log Insight is the best tool you already own and aren’t using. We see VMware tools everywhere, but what does it really do? vCenter Alarms are fantastic feature that are often overlooked. Learn how to amplify them for your environment. A must read if you plan on installing vCloud Director! Trying to decide which VCAP design to take first? Here are some ideas. An account of the exam for the VMware VCAP-DCV Design certification test. Notes on the VCDX process by a newly minted VCDX! Great coverage of VMworld 2018! A listing of Microsoft activities at VMworld 2018. Great coverage of some of new new innovations at VMworld 2018! Coverage of two big announcements during VMworld 2018. A great perspective on VMworld 2018. A great recap of VMworld from a CCIE! Learn more about vExpert here! vBeers MeetUp has been scheduled! Our friend BlogCiscoRedes will be at VMworld 2018 this year, as he has received a blogger pass! Make sure to say hi and grab one of his great stickers. All about what NetApp has going on at VMworld 2018.